BTW I know its St. Lucie, **** iPad auto correct, and I can't go back and update it. Your Southeast Florida Real Estate Resource ! Search for homes on any mobile device with my FREE MLS SEARCH App ! 2200v pathfinder and various rods and reels, ford f150 and various rifles, shotguns, and handguns. I had a similar "won't fit in the cooler" situation with a big king I caught on my 20 foot Scout. I sliced through the skin of the fish on 1 side from top to bottom and was able to fold it in half and get it in the cooler with minimal damage to the fillet. Nice Hoo. 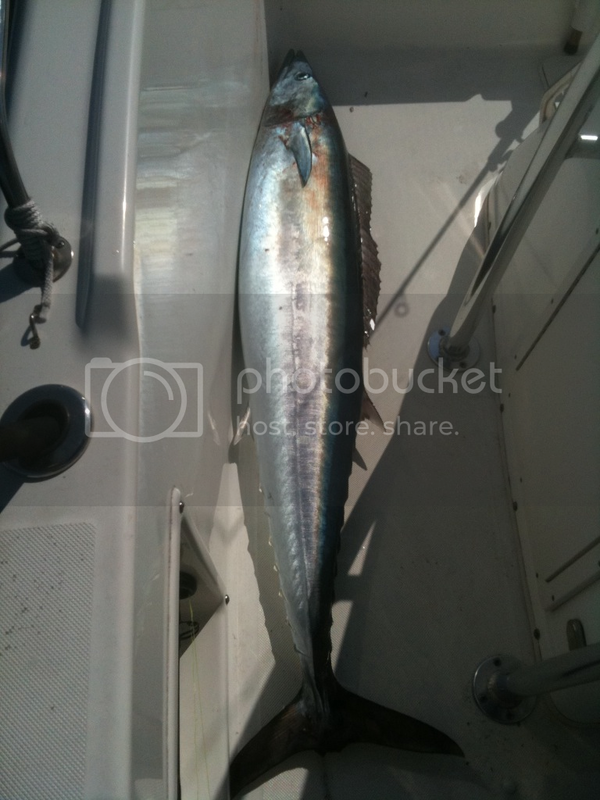 That would have been a money fish in one of the tournaments held yesterday. Break out the black cast iron frying pan & put the feed bag on! Nice Hoo I bet he stretched your string. Being solo makes him pull even harder. Good work. L.G. LIFE IS GOOD ON THE "LET'S GO!" 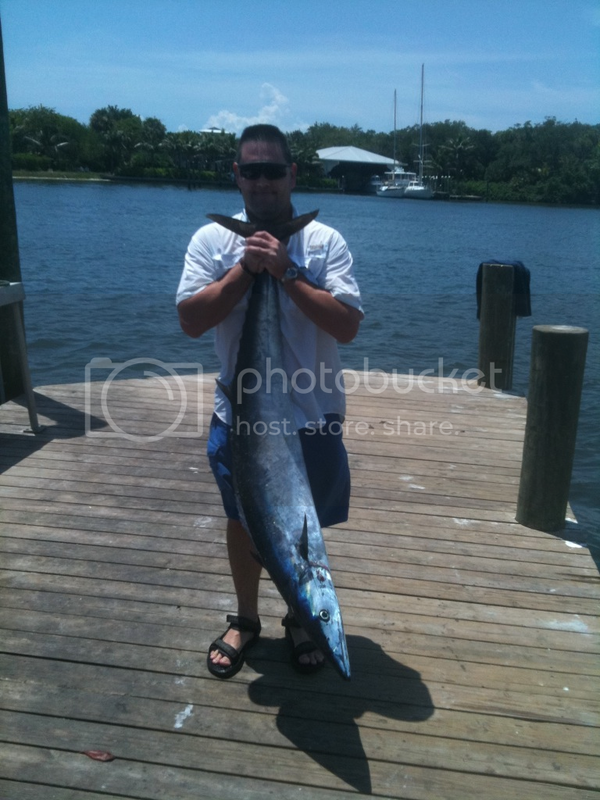 Wow, stud Wahoo.. Looks all of 40lbs there..!! Congrats..
Ok.... truth is.. Great fish and I am jealous.. Seriously, great job.. solo no less. Nice Hoo, great day! Did you change your work week? I used to see you out there on Fridays a lot. Need a bigger cooler. Holy mackeral, no, I mean Holy Hooo. Did you use wire on that animal? ****, thats a nice hoo! Sweet fish, but I don't understand why you couldn't take pics and catch fish at the same time, AF does it. WOW! I have lost a couple solo so I can only say CONGRATS :R:R-- GREAT CATCHING:\:\:\! Thanks for all the props guys!!!!! This was definitely a catch to be remembered!!! Stu – I have gone out a few Fridays, but not regularly. I usually hit the water on Saturdays as early as possible to beat the crowd. moneyshot – I second that for a larger cooler. I guess I need a bigger boat to go with that cooler. I landed this guy on my Crowder E Series, TLD 25, 50 lb mono, 7 ft. 80 lb floro leader, 6 inch #9 wire, and finish it off with #7 Gamakatsu Circle Hook. Solid hoo. Congrats on the solo run! Great Work, enjoy the steaks. Very nice job That's a big one.